If there is a dish that defines what Filipino cuisine is all about – it’s adobo, the unofficial, national dish of the Philippine islands. There are as many versions of adobo as there are many islands in the Philippines. Perhaps not as many as 7,107 islands (the whole Philippine archipelago) but ask each Filipino family and each will tell you their own adobo recipe handed down from one generation to another differentiated not so much by the kind of ingredients they use but more on the style or technique in cooking the dish. Adobo always has meat – that’s the star of the dish. It can either be chicken or pork or a combination of both. While the name is of Spanish origin and is similar in some ways to the Latin/Hispanic “adobo” in the sense that meat is steeped in or immersed in a sauce and cooked in it, adobo in the Philippines refers mainly to the dish (as in Pork adobo) rather than a cooking technique. Typically, adobo is cooked in a soy and vinegar sauce with bay leaves, lots of garlic, black peppercorns (whole or crushed), and may be sweetened with a little sugar or even pineapple juice or syrup. Because of the long and slow cooking, the meat absorbs the delicious flavor of the sauce and is so good paired with rice. Normally, we cook a lot of adobo so we have left-overs which can be re-heated day after day. The longer the adobo stands (in the fridge of course, though in the olden times it’s the vinegar that served as its preservative) the better the taste. When you have some left-overs (if you ever have some ’cause you may want to eat it all in one sitting – so more-ish!) serve it with fried rice and some fried eggs and you have a classic Pinoy breakfast – AD-SI-LOG – short name for Adobo (this dish) – Sinangag (Fried Rice) – and Itlog (Fried Eggs). Yummm! For this particular version, I depart from the usual Adobo. Here I am making an adobo without using vinegar – Chinese style. For this I am deeply indebted to my friend Rebecca who graciously shared with me the ingredients she used and the way to make it. After I tasted the adobo she brought in one of our Filipino parties, I just had to get her recipe. It’s so good you won’t even miss the vinegar! What I particularly love about this adobo is the addition of mushrooms. I have seen adobo with pineapple rings but never one with mushrooms and this gives the adobo even more depth in flavor and adds a lot in texture. I have tried many kinds of mushrooms -both dried and fresh shiitake, enoki, mini-portobellos and the common white button mushrooms. Any of them are great for this dish but the best for me are the fresh shiitake ’cause they are so meaty and fully absorb the flavor. If using dried shitake, don’t forget to rehydrate them first before using and keep the liquid used in rehydrating them ’cause you can add that into the sauce for an even better flavor (if that is even possible with this already yummy sauce!). So here goes the yummiest and easiest Chicken Adobo ever! Click on above link to print and simply click on each image to delete them. *I use skinless but boned-in thighs as using the ones with skin on will produce too much oil. You can leave the skin on the drumsticks if you wish so you still get some flavor from the skin without it producing too much oil. In a deep pan or a Dutch oven, mix the soy and oyster sauces, sugar, garlic and ground or whole peppercorns. Add the chicken pieces and coat the with the sauce. Insert the bay leaves. Don’t worry if it seems dry at this point, it will produce some liquid as you cook it. Bring to a boil. Cover and simmer on low until chicken is tender, about one hour. When the chicken is already tender, add in the mushrooms. Continue to simmer until the mushrooms are cooked and tender about 5-8 minutes. Add a few drops of sesame oil, to taste. Give a quick stir. Serve hot with rice. As with any Adobo version, though it’s great the first day, it’s even better the next day as the meat would have absorbed the flavor of the sauce more. If using fresh Shiitake (4oz) – clean them quickly under running water or wipe the tops clean. Cut of the stem (can’t eat them too chewy!) and then slice. If using dry Shiitake (2 oz) – reconstitute/rehydrate the mushrooms in warm water for about 20 mins or until tender. Reserve the water. Just strain it first if necessary. Add it as needed. This liquid is so full of flavor so don’t throw it away especially if you like a more liquidy adobo. Oh yum! This looks delicious. In my husband's family there are two kinds of adobo, oily and not, lol and both very tasty. I love the idea of adding mushrooms. Thanks for sharing. G'day This looks delicious Abby! YUM! pinning, sharing via BBB on FB, Google+ today…sharing the love! You are so very sweet to do that Joanne! <3 Thank you so much. 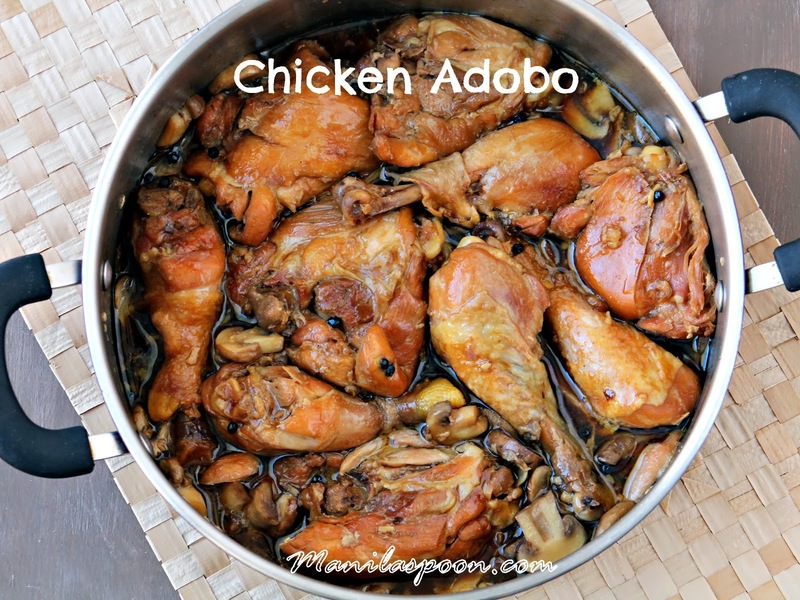 Growing up in a Filipino American family, I grew to love and cherish chicken adobo. It was the first dish I ever made for my husband and he quickly fell in love. My three kids also love this traditional dish. I'm not sure how it could be the same without vinegar. It's like the best part for me. This is an interesting twist! I can't wait to try this! It has my name all over it! We go through tons of oyster sauce – here's another recipe I'll be using it for! This looks amazing! 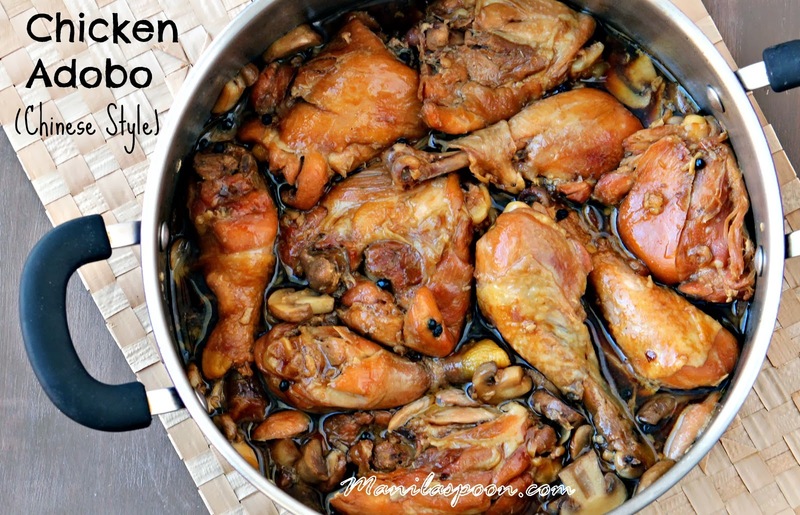 I love chicken adobo and the mushrooms is such a wonderful addition! Can't wait to make this! 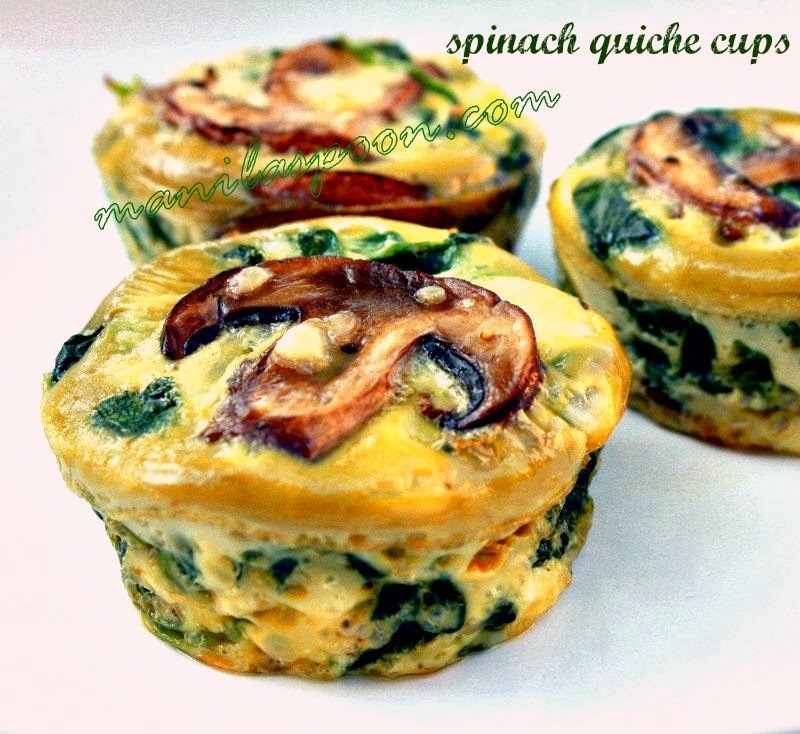 I am so excited to try this recipe – yum! Wow! Finally vinegar-free adobo. I always messed up with vinegar. Can’t wait to try this! I’ve tried this recipe soooo many times and it’s always delicious!!! I am so delighted to know this!! Thank you for letting us know and we do love this recipe too! Hi Abby, I tried this today. It is so delicious. Thank you! I am so totally happy that you liked it. Honestly, of all the adobo versions this is, for me, the best! Thanks for letting us know.